Under what circumstances can a work of art be reproduced? Here, a series of historical examples and judicial opinions involving the copyrighting and patenting of steel tube cantilevered chair designs provide some guidance. These cases demonstrate a conceptual wordplay of sorts. Whereas some deal with issues of reproduced form, the others concern form reproduction. Or, put another way, whereas the former is an investigation into form, the latter is an examination of process. However, no discussion invoking the term "reproduction" can begin in earnest without at least a brief mention of Walter Benjamin’s seminal and oft-quoted essay, “Das Kunstwerk im Zeitalter seiner technischen Reproduzierbarkeit” (“The Work of Art in the Age of Its Technological Reproducibility") (1939). The much-lamented loss of the aura, defined as the “formulation of the cult value of the work of art in categories of spatiotemporal perception,” is of little use here. Yet Benjamin’s essay reveals additional insights concerning an original work of art and its copy. Beginning with the dictum that all art is in essence reproducible, Benjamin distinguishes between manual reproduction and mechanical reproduction, noting, “Confronted with its manual reproduction, which was usually branded as a forgery, the original preserved all its authority; not so vis a vis technical reproduction.” This type of reproduction has two aspects. First, it is a process that is “more independent of the original than is manual reproduction.” Second, “technological reproduction can place the copy of the original in situations which the original itself cannot attain.” Here, Benjamin is perhaps inviting us to make further distinctions between the processes of technological reproducibility and the objects of such processes. To further delve into this distinction, a contemporary understanding of the problems surrounding issues of mechanical reproduction are in order. A series of images will provide some initial guidance. In “Modernity, the Holocaust, and Machines without History” (2001), historian Michael Thad Allen features a series of images that, when viewed together, reveal more of a polemic than an editorial decision. 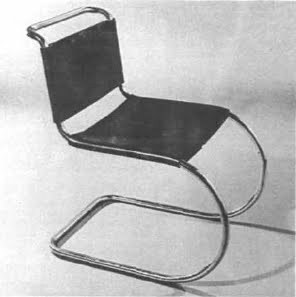 One is a picture of one of Hungarian architect Marcel Breuer's most recognized chair designs—the Model B3 or "Wassily." Culled from the Bauhaus Archiv, this is a familiar object, a complicated skein of pressed leather stretched tautly across a polished steel-tube frame. When set against the light background, it looks as if the chair were suspended in midair. 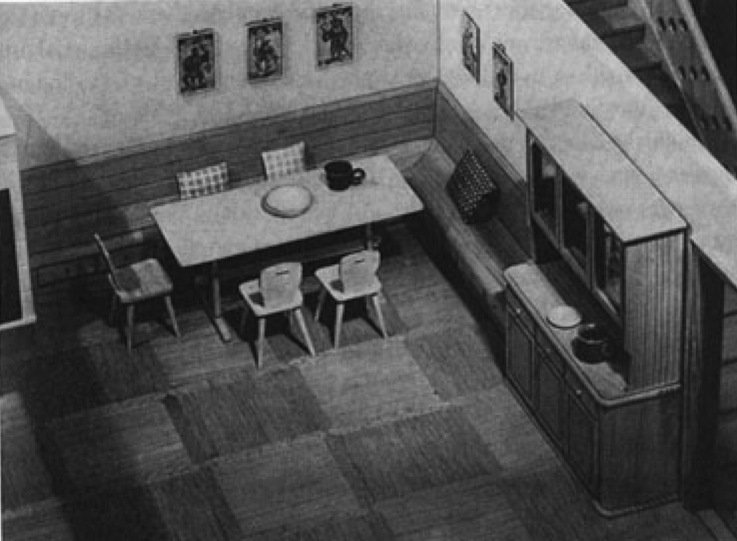 The image stands in stark contrast to another image, a sketch of a völkisch kitchen from Diploma Engineer Hermann Gretsch’s Planung und Aufbau im Osten (Deutsche Landbuchhandlung, 1941). Here, atop wooden parquet, a phalanx of wooden chairs surrounds a large, flat maple-hewn table. The drawing, from an omniscient birds-eye view, reveals a series of wall-hangings, each featuring a deity or character from Der Nibelungen or any other Nordic phantasie. The image depicts a comfortable setting, and yet suggests a more complicated set of values. Production was to manufacture the German spirit, a spirit forged as the maker rather than the consumer of goods. At the heart of Nazi modernity was the dream of a perfect system […] But it was to be a system whose overarching output was supposed to be culture – the New Order of National Socialism. Agrarian Objectivity was not only a manifestation of Nazi ideology, but as a theory of industrial production, it placed great emphasis on the creation of artifacts. If a wooden stool was superior to a cantilevered chair in that it suited the German spirit, it was only because woodworking, and not the wooden stool, fueled the imprimaturs of productivism. To suggest that Agrarian Objectivity paid no attention to form may be too simplistic, however. 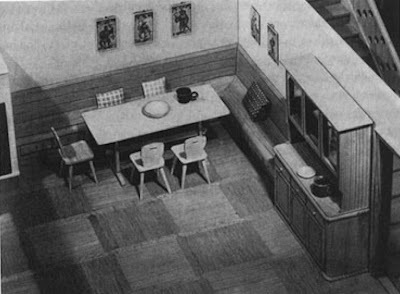 The form and look of a heimat or Biedemeier furniture set is as important as the industrial techniques used to produce them. Since the external world affects us today with the most intense and various impressions, we change the form of our lives in more rapid succession than in earlier times. It is only logical that our surroundings must undergo corresponding changes. We are approaching furnishings, spaces, and buildings which, to the greatest possible extent, are alterable, mobile, and accessible to various combinations. Furniture, even the walls of the space, are no longer massive, monumental, apparently permanently rooted, or in fact permanently installed. They are much more injected with air, drawn, so to speak, in space; it hinders neither movement nor the view through space. The space is not longer a composition, no rounded-off whole, since after all its dimensions and elements are subject to essential changes. One comes to the conclusion that any correct, usable object fits in the space in which it is needed, similar to how a living being fits in nature: a person or a flower. The reproductions show metal furniture of the same characteristic form, determined by the type of design, in the most various spaces: in the theater, auditorium, atelier, dining room, and living room. Granted, for the proponent of Agrarian Objectivity, as well as for the avatar of Neue Sachlichkeit, technological reproducibility (or technical reproduction) was an inescapable condition of contemporary society. Benjamin does not devote much time to finessing any distinction between form and process—one can only speculate as to any importance he would have assigned to this issue. This distinction between form and process nevertheless becomes important especially when considering issues of copying. For a further examination of how Weimar-era and Nazi authorities dealt with issues of form and process, this analysis once again looks to the manufacturing of chairs in Germany prior to World War II. An excellent and influential article by historian Otakar Máčel involving legal claims surrounding the manufacturing of tubular steel chairs is indispensable. 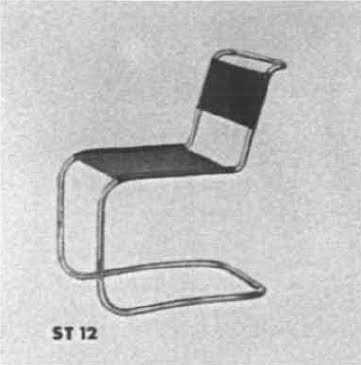 In “Avant-Garde Design and the Law: Litigation over the Cantilever Chair” (1990), Máčel outlines two lawsuits of paramount importance: the first, involving a 1929 claim by Hungarian furniture impresario Anton Lorenz against the international furniture company Gebrüder Thonet Aktiengesellschaft (AG) (“Thonet”); the second, a claim by Mauser Kommanditgesellschaft (KG) against Ludwig Mies van der Rohe from 1936. Although the facts underlying these cases are complex, the origins of the claims can be traced to the 1927 Werkbund exhibition in Stuttgart. There, Dutch designer Mart Stam sketched his concept for a cantilevered chair on the back of a wedding invitation at the Hotel Marquart. Stuttgart was a fertile environment for other European designers and avatars of modernism. The Werkbund exhibition itself provided an ideal forum where designers could market and license their creations. Stam was no exception, for shortly after he modified his chair design, which consisted of gas pipes arranged in the “continuous line” typifying cantilevered design, Stam licensed this design to the iron works of L.&C. Arnold in nearby Schorndorf. 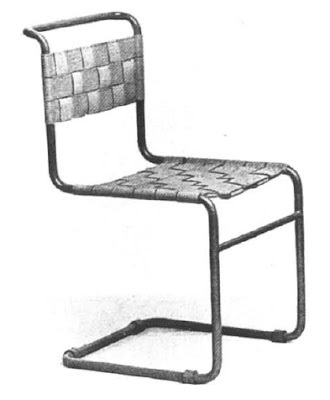 Unknown to Stam, and in an event that would be significant over a decade later, in 1923, a metalworker named Gerhard Stüttgen designed a steel-tube chair that did not use legs for its back supports for his students at the Köln Kunstgewerbeschule. I explained [to Stam] that I was working with a craftsman in Dessau and I would like to introduce a heavier tubular section to do a heavier cantilever chair. He went home and drew it up this chair. He somehow got legal protection. But he did it in solid pipe […] I mentioned to him my stool […] that if you turn it on its side it is a cantilever chair. But the tubing was not thick enough; I needed 25mm tube. I did it myself; turned it over. Breuer and Mies van der Rohe featured their designs at the Werkbund exhibition. Unlike Stam’s and Breuer’s decidedly angular designs, Mies’ chair featured the well-known curved and continuous profile. In Berlin, Marcel Breuer’s own company, Standard-Möbel Lengyel & Co., became the licensee for all of the designer’s furniture. The company was not successful at first, and 1928, Breuer and business partner Kalman Lengyel hired Anton Lorenz, a successful Hungarian entrepreneur, to run the company. Although Breuer entrusted Lorenz with the future of the furniture venture, a sudden instance of pragmatism inspired him to license the rest of his tubular steel furniture designs to Thonet in July 1928. 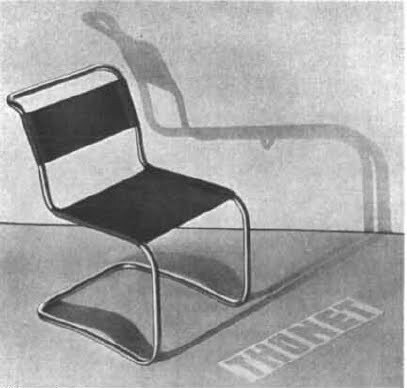 This eventually created a situation where two separate companies—Standard Möbel and Thonet—were manufacturing Breuer’s chair designs. Your particular request to hand over to you models L33 and L34 cannot be complied with, as these models are patented and copyrighted by our Mr. Lorenz who does not intend to transfer these rights to you. There is no doubt whatsoever that these pieces had been assembled from your materials and in your working-time; our Mr. Lorenz will be pleased to receive your invoice for assemble and labour, upon receipt of which he will reimburse you in cash. Thonet nevertheless continued to produce the chairs, and Lorenz filed a suit against the furniture maker in July 1929. Standard-Möbel’s officer, however, arranged for other legal maneuverings securing the ability to own the rights to all cantilevered furniture. Not only did Lorenz enter into a separate contract with Mart Stam to purchase all the designer’s rights to cantilevered designs, but Lorenz also formed another company in September 1929, Deutsche Stahlmöbel (DESTA). DESTA manufactured the L33 and L34 chairs (ST12 and SS32 respectively), as well as furniture concepts by other well-known designers. The basic feature of Stam’s chair resides in the austere and strident movement of line; avoiding all superfluous parts it embodies modern objectivity in a sparse form derived by the simplest of means. Whether or not its formal aspects are also technically inspired is irrelevant to the question of its artistic quality. Thonet also argued that the quality of its chair was better than that of Standard-Möbel’s. This difference in quality was raised in order to reaffirm the idea that Stam’s chair was a product of technical innovation, not artistic design. The court, however, saw the issue differently. The reproduction of Stam’s form was actionable—Thonet was therefore in copyright violation. In noting that the chairs “so closely resemble one another that no essential features can be found to differentiate them,” the court basically emphasized that the Thonet chair was a replica of the Standard-Möbel chair. In other words, in declaring Breuer’s chairs were replicas of Stam’s, the court came to the unbelievable conclusion that Thonet was in reality producing Stam’s chairs. If Lorenz’ case against Thonet emphasized the mechanical reproduction of an object’s form, then what types of legal criteria can be used to describe the process of reproduction? Here, a case by Mauser KG against Mies van der Rohe becomes of special importance. 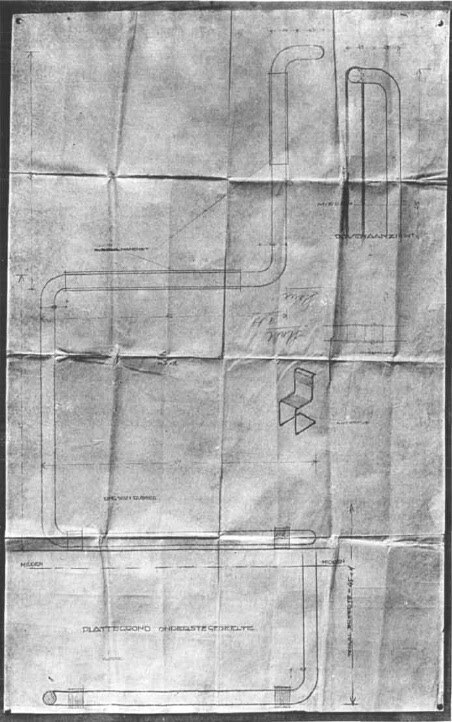 On the heels of the Werkbund exhibition, Mies filed patent DRP 467 242 on August 24, 1927 covering the manufacturing processes for a series of steel tube chairs. The “salient features” of this patent included: “the use of cold-drawn bent steel tube; sufficient springiness (or resilience) for comfort; and, as far as the form is concerned, a chair – in which the seat frame and its support are made out of a single piece of resilient curved steel tube … [t]his tube is bent in a semi-circle and forms a continuous line form the supporting part to the seat and the back.” In 1936, the outspoken architect made public statements that both L.&C. Arnold and Mauser KG were violating his patents. Later that year, Mauser sued to invalidate Mies’ patents. Ludwig Mies van der Rohe, tubular steel chair manufactured by Berliner Metallgewerbe J. Müller (1927). According to Máčel, this chair was later manufactured by Bamberg Metallwerkstätte in 1931 and Thonet in 1932. Mies’ attorneys mounted a defense based on two criteria. First, Mies contended that several of Mauser’s chairs, though not sharing any formal characteristics with his designs, nevertheless violated his patent. However it is the second criterion of Mies’ defense that deserves special mention. 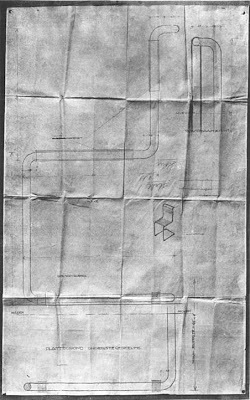 Here, Mies’ attorneys asserted that by the time the patent was filed in 1927, several furniture producers were already employing similar manufacturing techniques. The idea here, of course, was that Mies was the first to develop and exploit these processes. In an unexpected development, Mies patent attorneys used Stam’s chairs “as proof of the contemporary existence of designs embodying the characteristics patented” by Mies. 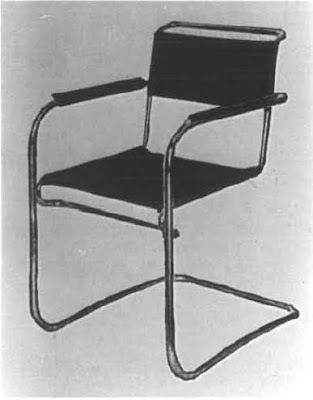 At the time, Mauser had just obtained the rights to Stüttgen’s previously-mentioned chair designs, and introduced evidence that it was he, and not Mies, that had pioneered the manufacturing process. Yet bad lawyering hampered Mauser’s case—Stüttgen was forced to admit that when he was developing his own manufacturing processes, he did not believe that they would be able to manufacture any useable furniture designs. Mauser responded by claiming that Mies had knowledge of Stam’s designs (thereby claiming once again that the patent was invalid). Yet the court determined that Mies filed his patent three days before the Werkbund exhibit even begin, thus invalidating any claim that Mies had prior knowledge of this process. The Kammergericht (Supreme Court) decided in Mies’ favor in 1937, and awarded Mies previously-owed compensation. These decisions, as opposed to the Lorenz-Thonet cases, demonstrate that in matters of mechanical reproduction, form is indeed subordinated to technical inventions, materials, and construction. The most recent and authoritative compendium of Benjamin’s work uses a more literal translation of this essay. Previous versions refer to this essay as “The Work of Art in the Age of Mechanical Reproduction”. In Walter Benjamin: Selected Writings (Volume 4: 1938-1940) (Cambridge: Harvard, 2003), series editor Michael Jennings notes that the essay was a work in progress from March 1936 to April 1939. This is the third revised version made famous by translators Harry Zohn and Edmund Jephcott in the popular Illuminations (New York: Harcourt Brace Jovanovich, 1968). Benjamin, “The Work of Art in the Age of Its Technical Reproducibility” n.11 in Michael Jennings, ed. Walter Benjamin: Selected Writings (volume 4: 1938-1940) (Cambridge: Harvard, 2003): 272. The argument continues: “One might encompass the eliminated element within the concept of the aura, and go on to say: what withers in the age of the technological reproducibility of the work of art is the latter’s aura. The process is symptomatic; its significance extends far beyond the realm of art. It might be stated as a general formula that the technology of reproduction detaches the reproduced object from the sphere of tradition. By replicating the work many times over, it substitutes a mass existence for a unique existence. And in permitting the reproduction to reach the recipient in his or her own situation, it actualizes that which is reproduced. These two processes lead to a massive upheaval in the domain of objects handed down from the past – a shattering of tradition which is the reverse side of the present crisis and renewal of humanity.” Ibid. Benjamin, “The Work of Art in the Age of Mechanical Reproduction”, Harry Zohn trans., in Hannah Arendt, ed. Illuminations (New York: Schocken). Compare the translated passage in Jennings’ collection: “But whereas the authentic work retains its full authority in the face of a reproduction made by hand, which it generally brands a forgery, this is not the case with technological reproduction.” Benjamin, “The Work of Art in the Age of its Technical Reproduction” in Michael Jennings, ed. Walter Benjamin: Selected Writings (volume 4: 1938-1940) (Cambridge: Harvard, 2003): 254. Michael Thad Allen, “Modernity, the Holocaust, and Machines without History,” in Michael Thad Allen and Gabrielle Hecht eds. Technologies of Power: Essays in Honor of Thomas Parke Hughes and Agatha Chipley Hughes (Cambridge: MIT, 2001): 193. Here is a prefect encapsulation of Benjamin’s dicta that Fascism aestheticizes politics and that Communism politicizes art. Dipl. Ing. Hermann Gretsch, “Zeitgemäßes Wohnen,” Die Bauzeitung 38 (1941): 425, quoted in Ibid., p.193. This may be too easy of a distinction. Consider, for example, historian Anson Rabinbach's account of the "attempt to legitimize political rule aesthetic symbolization" during the Third Reich using the modernist architectures created by the Nazi Amt Schönheit der Arbeit (Bureau of Beauty of Labor). Anson Rabinbach, "The Aesthetics of Production in the Third Reich" Journal of Contemporary History Vol. 11 (1976), pp. 43-74. Marcel Breuer, “Metal Furniture and Modern Spatiality” (1928), in Anton Kaes, Martin Jay, and Edward Dimendberg eds. The Weimar Republic Sourcebook (Berkeley: University of California, 1994): 453. 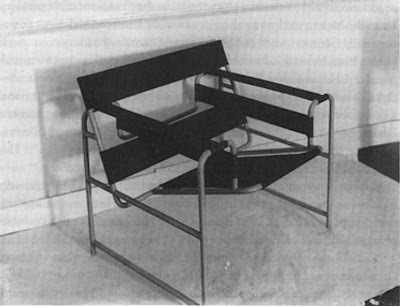 Otakar Máčel, “Avant-Garde Design and the Law: Litigation over the Cantilever Chair,” Journal of Design History Vol. 3, No.2/3 (1990): 127. Unpublished interview of Marcel Breuer by Christopher Wilk, 1979, quoted in Ibid., p.129. Breuer’s designs were classified by Standard-Möbel as L33 and L34 (tubular steel chairs with and without armrests) and later designated by Thonet as “B33” and “B34.” Ibid., p.130. It is interesting to note that Thonet called none other than Walter Gropius as its primary expert witness. 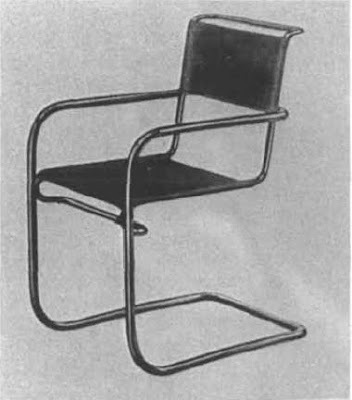 Macel continues, “Gropius declared in a written deposition … that Breuer was the first to use nickelled tubular steel for chairs and that, in his opinion, the chair by Stam was an imitation of designs by Breuer, although it showed some characteristics which could be attributed to Stam himself. 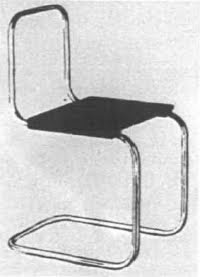 Thus, he considered the disputed model of the cantilevered chair to be a consistent development of Breuer’s earlier B5 model. Máčel, “Avant-Garde Design and the Law”, p.133. 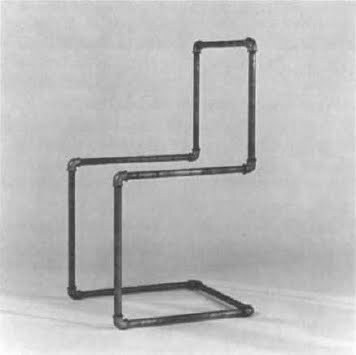 Breuer’s chair was made of “precision nickel-plated steel tube”, whereas Stam’s chair was made of “enameled cast iron tubing.” Ibid., p.133. Máčel notes, “This shows the difference between juridical argumentation and historiography. Seen from a historian’s point of view there can be no doubt that his prior knowledge of Stam’s idea influenced Mies van der Rohe when designing his patent chair.” Ibid.